Composer Lorne Balfe is certainly keeping busy in 2013. 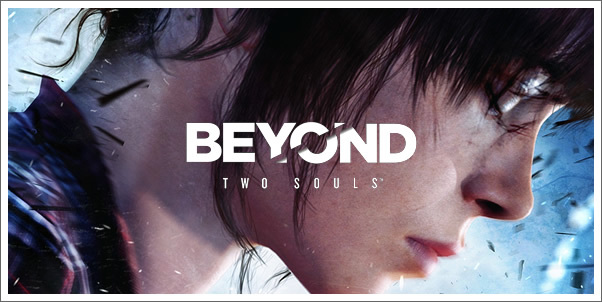 With releases spanning TV (The Bible Miniseries), documentaries (Girl Rising, Salinger) and film (The Frozen Ground) already this year, Balfe will the release of his original score to the hotly anticipated, upcoming, Playstation 3 title, BEYOND: TWO SOULS. The soundtrack for this stunning-looking, albeit soon-to-be-last-gen, game will be released by Playstation on October 8, 2013. If you haven't heard of BEYOND: TWO SOULS yet ... where have you been? It comes from the visionary director of the amazing HEAVY RAIN, David Cage, and is a singularly unique psychological action thriller delivered by A-list Hollywood performances by Ellen Page and Willem Dafoe, The game takes you on a thrilling journey across the globe as you play out the remarkable life of Jodie Holmes. Watch this space for more coverage of the BEYOND: TWO SOULS soundtrack! YOU CAN PRE-ORDER BEYOND: TWO SOULS AT AMAZON.